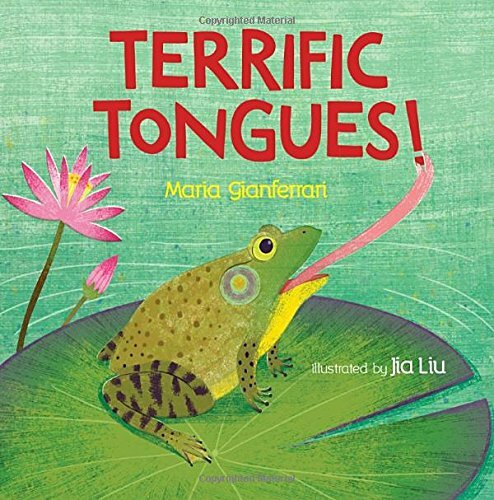 Today I’m sharing a brand-new book by one of my favorite kidlit authors, Maria Gianferrari. You’ve met her before when she stopped by last summer to chat on Will Write for Cookies about her then new book, HELLO GOODBYE DOG. And now she has another one that just launched last week!!! And she is offering a copy as a GIVEAWAY! But before we get to our review and activity (which is going to be so much fun! ), I need to make a few announcements. Congratulations, Susanna! I’ll connect you and author Tara Luebbe. Congratulations, ladies…I will connect with all of you to make arrangements to send you the books so that you can present them to your local libraries in honor of National Library Week. I also wanted to mention that the #50PreciousWordsforKids International Writing Challenge is coming up at the end of this month. It coincides with Children’s Book Week, April 30 to May 6. The official challenge post will go live on Monday, April 30th. And author Darlene Jacobsen is going to give the challenge a shout out on her blog on Thursday, April 19…I’ll post the link here and on my social media. Please, friends, start getting the word out to teachers and parents of kids in grades K-6. Although every child who participates is a winner, I would love to select one class per grade level and one homeschool family/group to receive a mini-Skype author or illustrator visit like we did last year. I’m hoping to get EIGHT authors or illustrators who would be willing to donate those. So please contact me if you’d like to participate: viviankirkfield@gmail. And now for today’s Perfect Picture Book! Funny! Funny! Funny! Kids will love the humor. Fabulous word play and nonfiction info about animals and their tongues. Bold vibrant illustrations – and the expressions on the monkey who travels throughout the book are hilarious! And to add a funny tongue to any of these monkey crafts, just cut a long strip of construction paper, roll it up, and glue one end to the monkey’s mouth. Enjoy the back matter in Maria’s book…so many amazing fun facts about animals and their tongues. For more picture book reviews and activities for kids, hop over to Susanna Hill’s Perfect Picture Book Friday link up. Please remember that book reviews on Amazon, Goodreads, and other review sites are the best way we can thank authors for their wonderful stories. And leave a comment to be entered in the giveaway of a copy of TERRIFIC TONGUES. And don’t forget to pass the word around about #50PreciousWordsforKids and email me if you’d like to donate a mini-Skype author visit. This entry was posted in book giveaway, Perfect Pictture Book Friday, Uncategorized and tagged Boyds Mill Press, Jia Liu, Maria Gianferrari, National Library Week, Show Me How! Build Your Child's Self-Esteem Through Reading, TERRIFIC TONGUES by viviankirkfield. Bookmark the permalink. Thanks for sharing Maria’s new book, Vivian. TERRIFIC TONGUES looks adorable. I hope you will like it, Dee :). You are so welcome, Maria! Just keep writing these wonderful picture books and I will keep posting rave reviews! I love your stories! I’m already won over by the cleverness of the cover illustration! I hope my library owns a copy. Thanks for this wonderful review. In case they don’t, Leslie, you could see if they have some kind of “suggest a title” program. My library does that, and I frequently request titles that they haven’t already ordered. It’s also a great boost for authors :). What a fun cover and your monkey activities are so fun! Look forward to finding this one. I think they’re adorable too. I hope you’ll like it :). This book sounds terrific and educational all rolled into one. Thanks for the review, Vivian! What an adorable cover. The crafts look like a lot of fun. :)! 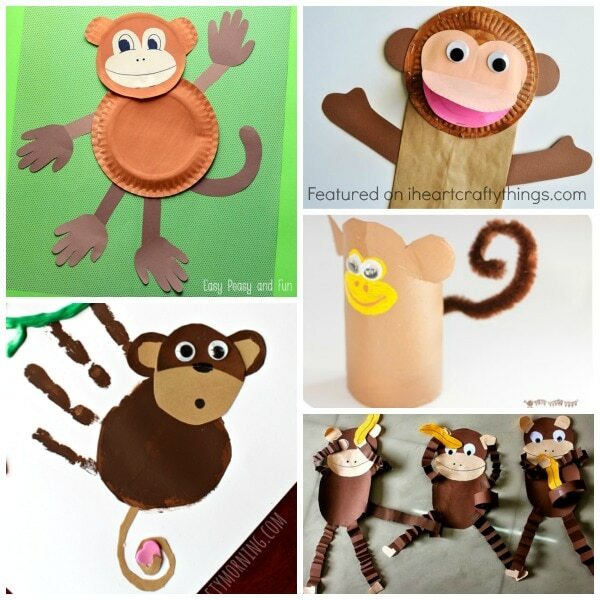 I love these monkey crafts too! I also have two delightful frog ones that are quite fun! What a gem! That cover speaks “buy me.” Humor and a educational at the same time. Congratulations, Maria! Such a fun cover & looks like the perfect read as spring starts (finally!). What a fun topic! Can’t wait to peek inside this book. Such a fun book! Something for everyone and a chance to show your creativity with cute crafts. I’ll be looking for this book at our library! I hope your library has it, Anne. If not, you could suggest they purchase it if they have such a program. Based on the cover alone, I want to read this book, but the subject matter, illustrations, and author (I loved the clever writing in Hello, Goodbye Dog) make this extra fun and highly anticipated to read. Love the cover and the unique story. Love Vivian’s clever crafts. Agreed, Diane! Vivian has the best crafts, and is so thoughtful. She’s a reason why the kidlit community is so great! This book looks so fun! I think kids will love it (they do love playing with and sticking out their own tongues!). Thanks for sharing with us! Can’t wait to read it! I have my copy of to-be-reviewed “Terrific Tongues” on my desk … it IS a wonderful book!